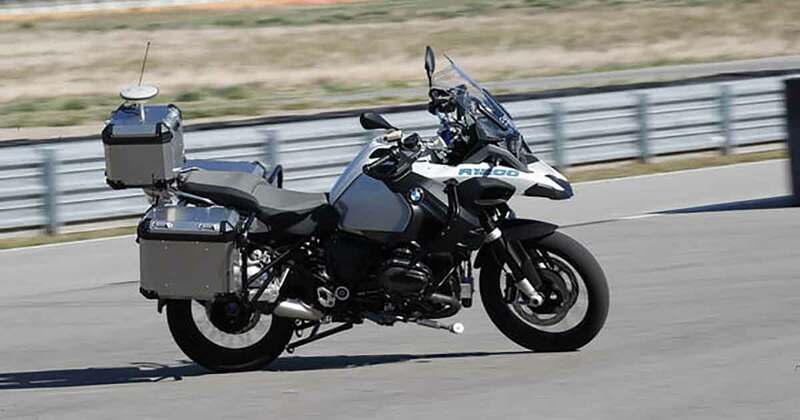 BMW Motorrad that is known for innovation showcased the future of riding through its recent unveiling, the BMW R1200GS. The adventure tourer sports a self-riding motorcycle concept called the ConnectedRide self-driving motorcycle. Developed aiming improved rider’s safety, the motorcycle sporting this new tech starts turns and stop vehicle all by own. Attached teaser video, will make you believe how the autonomous BMW R1200GS performs all the essential actions on a motorcycle. It started on its own, leaned at turns and brakes precisely. The company wants to go beyond the level when the motorcycle will be more stable in a panic situation. As of now, the concept is in its test phase that will help engineers in adding more safety technologies concerning rider’s skills in order to can cope up with this ConnectedRide self-driving technology. With such possibilities, the rider will feel secure in almost all riding conditions. Other than the BMW, there are manufacturers like KTM and Ducati, working on many rider aid technologies. It makes us believe that in the coming two or three years, we will get to see something worthy rolled out from the learnings. Fingers crossed, hope for the best.